The planet Uranus is making a significant move that’s worth talking about. Uranus has been transiting through Aries since 2011. On May 15th a new cycle will begin as Uranus shifts into Taurus. It will remain there for the majority of the next 7 years. As we dive into what this means for us as individuals and as a collective; let’s also explore the symbolism of Uranus and what it can teach us. Uranus is like electricity. It comes in (sometimes with a bang) and brings innovation, change and oftentimes revolution. Uranus helps us get out of the way and let evolution work it’s magic. Like electricity, Uranus brings welcome change. Changes that support us and help us advance. However, also like electricity, if we do not have an open socket for the energy to move through it can be shocking. Think about when we put our finger in an open socket; we get zapped. Sure, that hurts but it doesn’t mean that all electricity is bad. 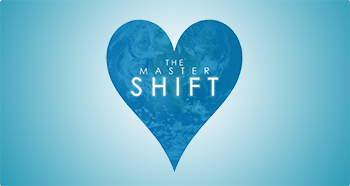 This is a time to deeply cultivate an awareness surrounding our relationship to change. Do we fear it? Do we want to stay stagnant and still? Or are we open to innovating and updating? Since 2011 we’ve been asked to update our perceptions of ourselves. We’ve been asked to think bigger about our personal power and what we are each capable of. Now Uranus in Taurus is asking us to do something with our personal power. This a about taking it to the streets and integrating our newfound self awareness into our every day lives. Over the next 7 years what it means to be human is expanding. This includes how we take care of ourselves, how we organize ourselves and how we treat our planet. Uranus is asking us to reconnect to nature and to make lifestyle changes that support Earth. This is a time to be proactive. To make these changes because we want to; not because someone is forcing us to. As we embrace this cycle and intend to honour the Earth and our human bodies there’s no telling what we can achieve. About the Author: Shannon Hugman (@shannonhugman) is a teacher, speaker, astrologer, Heartspeak emotional healer, reiki practitioner and above all a creator. She is offering a special online event specifically for Uranus in Taurus. Read more about that here. Shannon is available for personal readings at www.shannonhugman.com or if you are interested in learning how to give yourself readings check out her online classes.